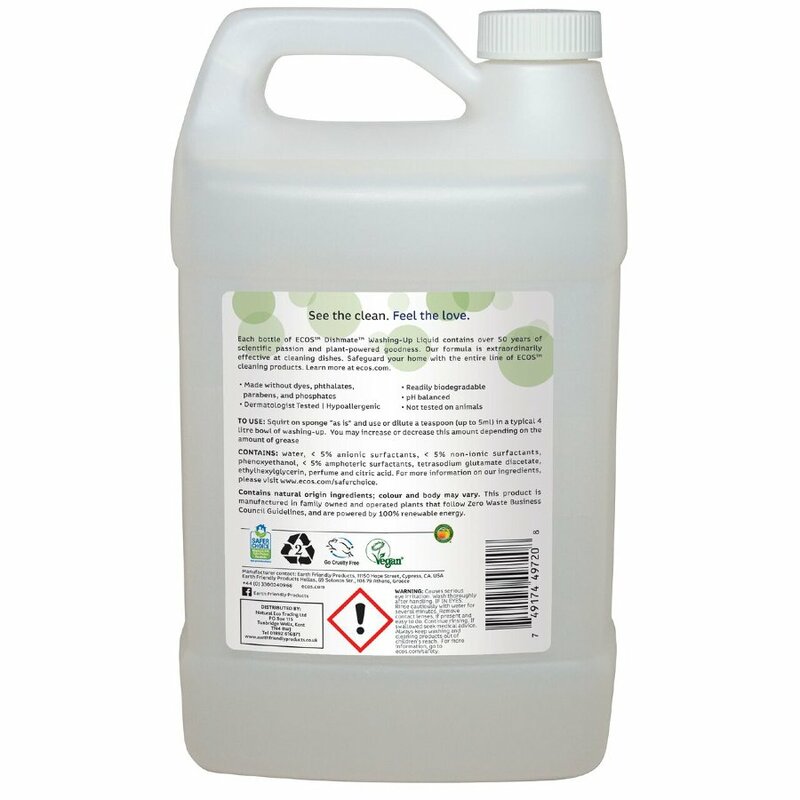 A 3.8 litre refill of Earth Friendly Products’ Dishmate Washing Up Liquid in pear, an eco-friendly washing up liquid made from naturally derived ingredients, touch on grease but gentle on your skin. 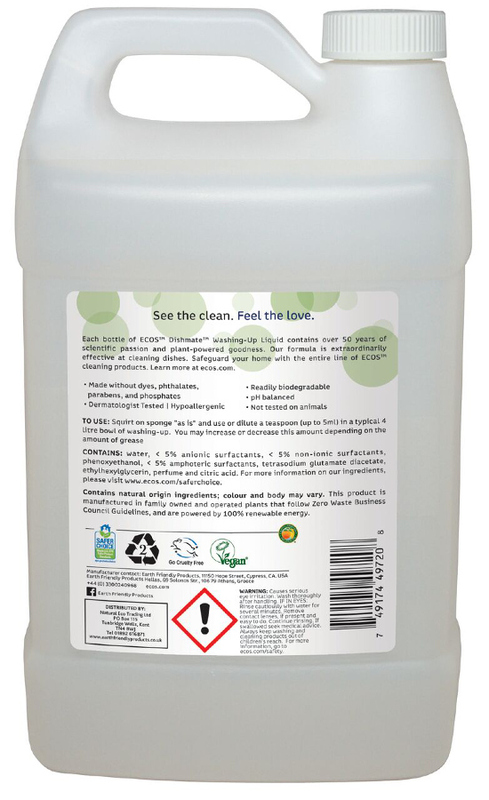 The cruelty free, biodegradable washing up liquid has a sweet pear fragrance and leaves your dishes sparkling clean without harming the environment. Buying in bulk means using less plastic as you don’t need to buy smaller bottles every time you run out. water, < 5% anionic surfactants, < 5% non-ionic surfactants, phenoxyethanol, < 5% amphoteric surfactants, tetrasodium glutamate diacetate, ethylhexylglycerin, perfume and citric acid. Dishmate is a concentrated washing-up liquid. Dilute approximately 5ml with warm water into a typical 4 Litre bowl of washing-up, squirt on to a sponge and use 'as is' or dilite in warm/hot water to soak baking trays and pans. 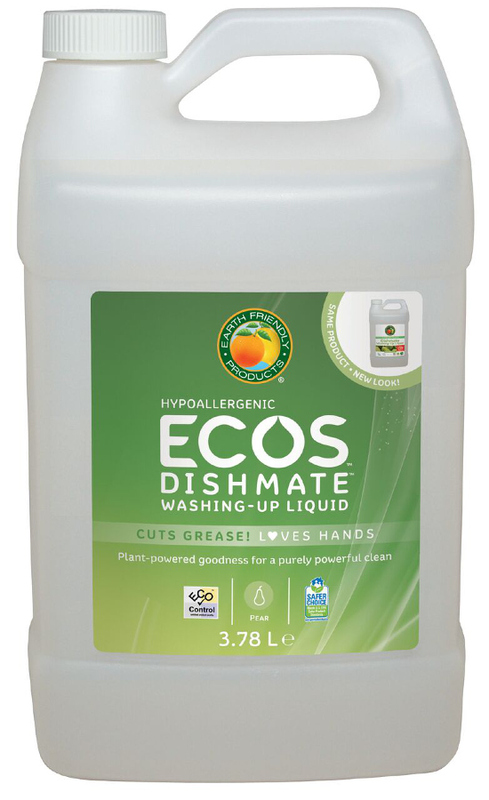 The ECOS Dishmate Washing Up Liquid Refill - Pear - 3.8L product ethics are indicated below. To learn more about these product ethics and to see related products, follow the links below. A really great smell and good for washing up. 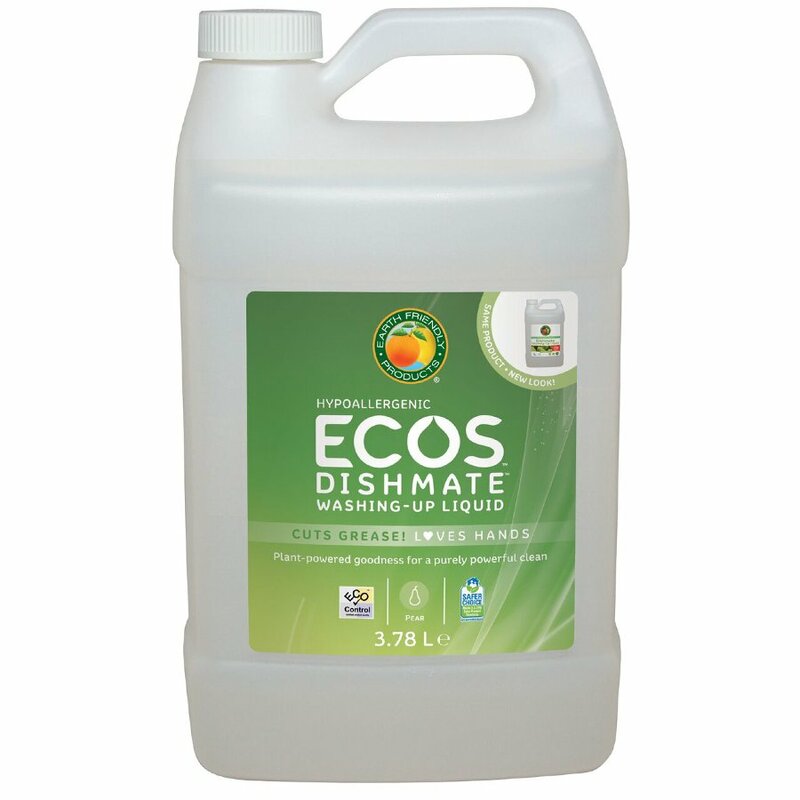 There are currently no questions to display about ECOS Dishmate Washing Up Liquid Refill - Pear - 3.8L.